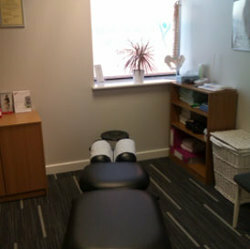 The Telford clinic is situated in the Business Development Centre, Stafford Park 4. Formerly within Anytime Fitness in Lawley, I expanded in to the larger office just a few miles away in Summer 2017. I now have a ground floor office, with plenty of free parking and a quite waiting area. Directions to the office will be emailed after booking your initial appointment. Your initial consultation, including first treatment, is charged at £65 and lasts approximately 1 hour and 15 minutes. Follow-up appointments are charged at £34 and last 30 minutes.